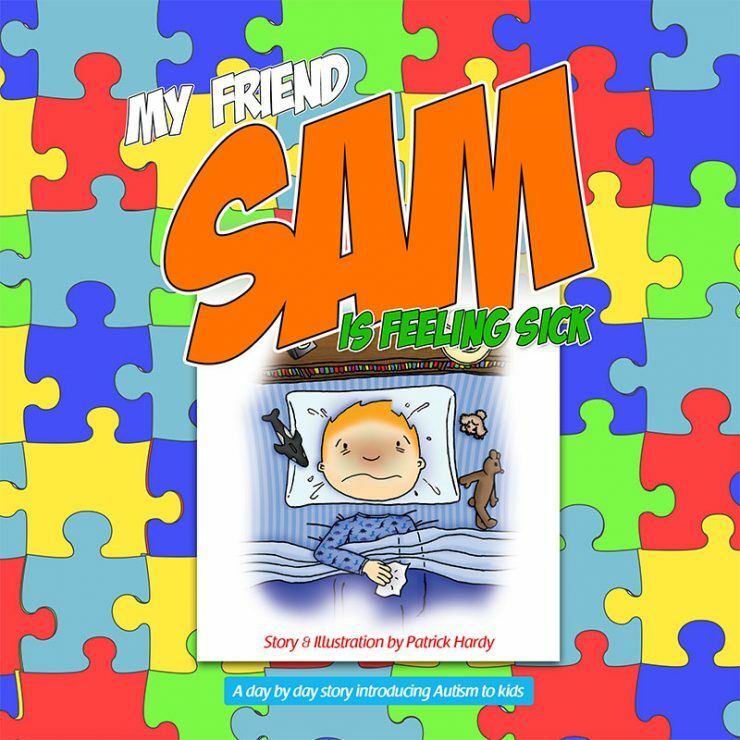 In this book, Sam is feeling under the weather. 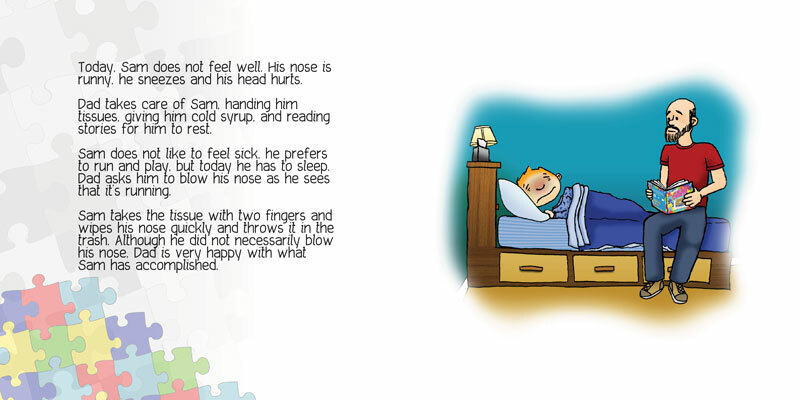 His dad hands him a tissue for him to wipe his nose, which he does very quickly. 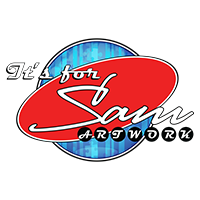 His dad is very happy with what Sam just did there, because there was a time where Sam did not even want to look at a tissue. 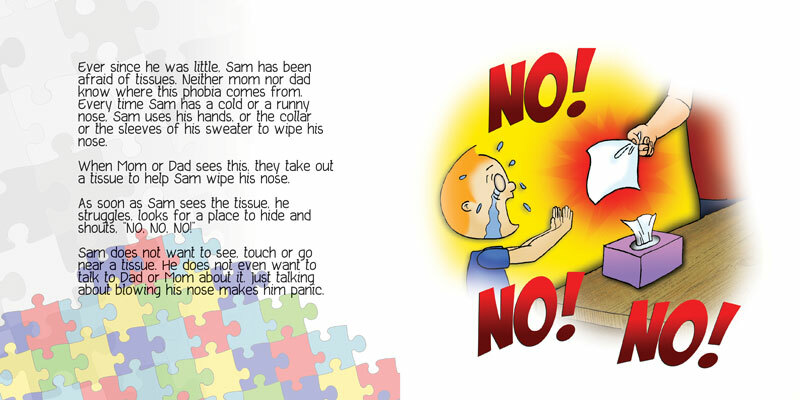 This story shares about the battle that Sam had with his tissue phobia. It was not all fun and games. It took Sam 11 years of is life to conquer that fear. 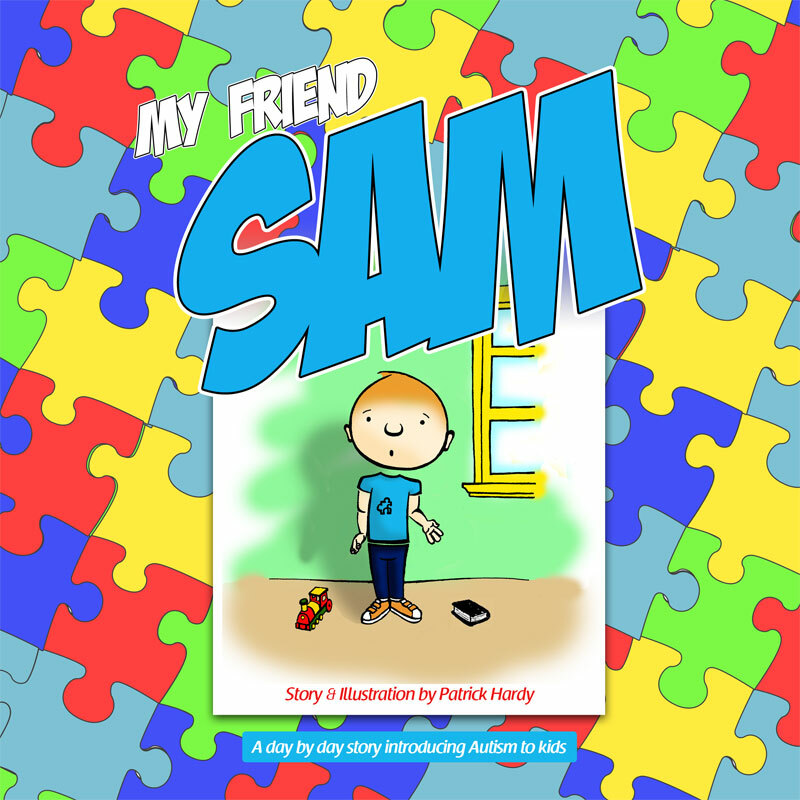 This book also is the beginning of Sam’s involvement in the creation. 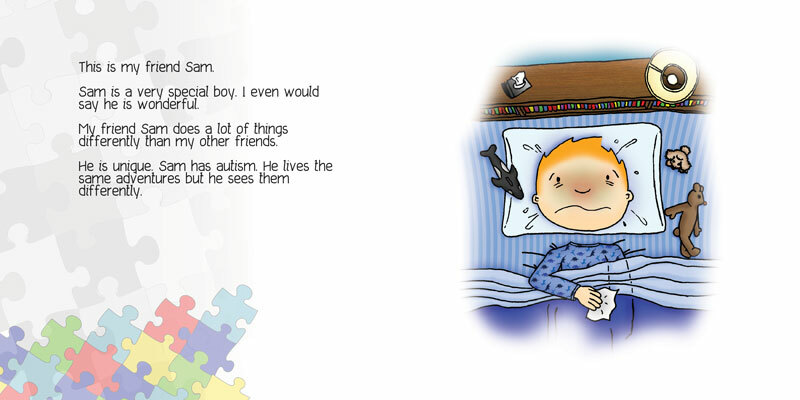 He illustrated, not once, but twice, the tissue monster.